Do you need offsite storage for your help desk data? It’s always useful to regularly backup tickets and comments for later recovery. Luckily Mojo Helpdesk makes it easy to setup recurring backups of data. This is useful to prevent a catastrophe if tickets or users were to accidentally be deleted or to just simply have records in your organization. 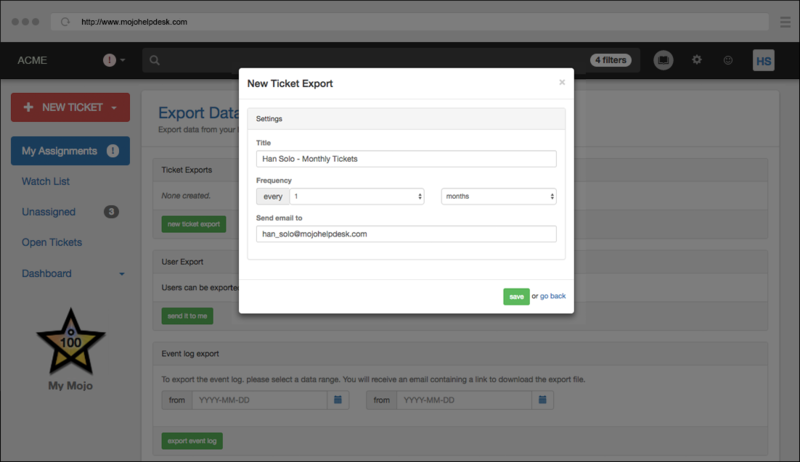 Step 3: There will be three options to export 1. tickets, 2. users, and 3. event logs. Et voila! 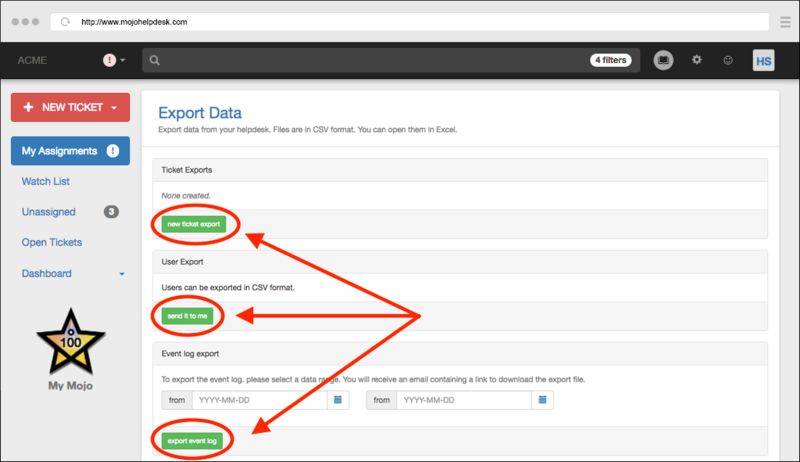 Using this steps, you will get an email a link to your backed up Mojo Helpdesk data. 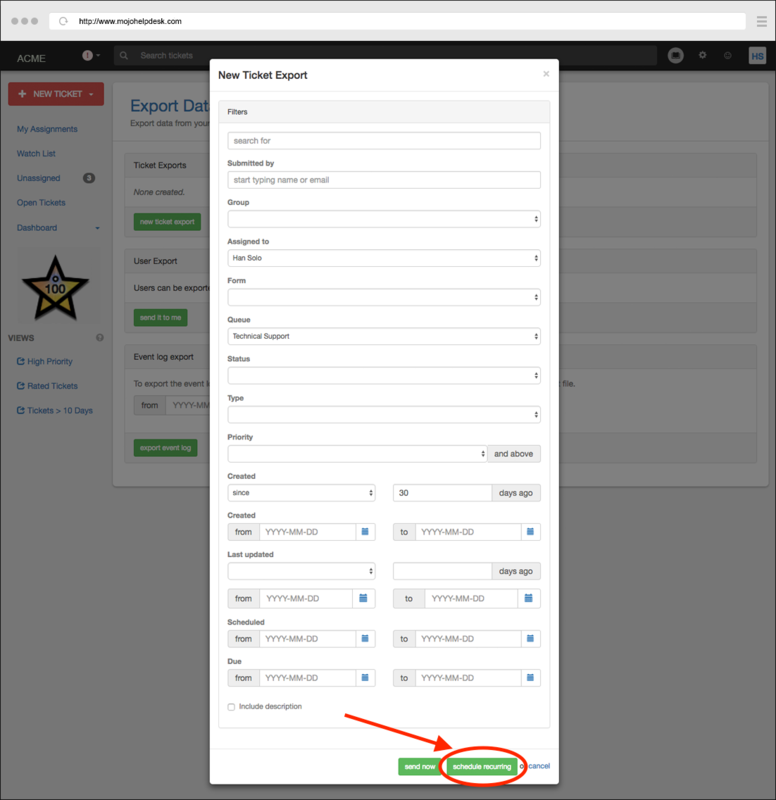 For more information on recurring exports, please check out the Mojo Helpdesk Knowledge Base.